Consultation with the fashion industry's leading bloggers, we've found the best fashion WordPress themes available. Fashion blogs are one of the most popular blogging niches on the internet. And thanks to modern stores and brand culture it becomes more and more popular. There is no doubt that fashion bloggers are not only famous but also their income is impressive. Top fashion bloggers are earning up to 100k a month on affiliate commissions and adverts and nearly 1M a year. If you want to create a serious and profitable street fashion blog, which does not have to be ashamed of, then I do not recommend you use a free theme. Because most of the free theme designs are outdated or just not trendy or high quality and fashion blog that writes about the latest trends can't be with an outdated design. If you love writing about fashion, street fashion lifestyle and sharing it with the fashion people, Scala is the right theme for you. It is beautiful WordPress fashion theme with tons of reasonable modern features and with carefully crafted, great, malleable, gorgeous professionally looking design. As I mentioned above, the theme can be used for stylish, lifestyle, street fashion or any other vogue style fashion blog theme. The Scala theme is also wholly customizable and you can quickly and easily set it up thanks to the one-click demo install. Theme has a fast and user-friendly advanced admin panel that enables you to personalize and style your theme colors, fonts, change the background and minimal layouts. Also, creators of Scala have strategically placed social media icons in every post. And the most important: you gonna love the ease of use. A very stylish, elegant and unique theme that helps your fashion content stand out, which makes it one of the best fashionista theme out there. A very stylish, elegant and unique theme that helps your fashion content stand out, which makes it one of the best fashionista theme out there. Milano is a unimaginably pliable and aesthetically rapid, resourceful and technologically sophisticated, innovative and impressive Fashion WordPress theme made for fashion bloggers, street style fashionistas and street photography in mind. Milano the name itself is enough to get the sensation of beautifulness of this fashion WordPress theme. Every dazzling design element and an influential module in Milano theme design is aimed at increasing tons of page views that your fashion blogs and photos will receive. With great, flexible settings panel and shortcodes, no coding skills needed. Social media buttons can be placed in the upper part of your website to send customers to platforms like Facebook and Twitter. Fully compatible with YouTube, Vimeo and other popular video sites will help you to stand out in YouTubers niche!. With an intuitive, influential, sleek and carefully designed interface and convenient theme options, you can instantly create a clean website using this gorgeous Milano WordPress theme. DeVoe is the complete solution for any Fashion or Entertainment site, with a focus on reducing bounce rates by providing endless content options. DeVoe is also fully responsive, retina-ready, translation-ready, comes with dynamic social sharing options, post/page slideshows, and much more! The Voux is yet another avant-garde, unimaginably pliable and polished, aesthetically eye-catching WordPress theme with powerful customization possibilities that can be used for fashionista or lifestyle blog. When combined with your unique and eye-catching fashionista content this awesome looking fashion theme will shine with style. With an easy to use, powerful, polished and carefully crafted interface and convenient theme options, you can instantly create a streamlined website using this flexible WordPress theme. Street Style Wordpress theme from Envato Elite author ThemeRex is one of my favorite designs for fashion blog. As a web developer, I found attractive mouse hover feature. Then you move the mouse over article titles you can see animated background under the text. It is something new and unseen in WordPress themes. Large module titles, more white space, large photos, black overlay over photos, all these features make Street Style theme perfect choice for your stylish fashion blog. BLOOM is a perfect choice for almost any type of fashion-related website. Minor complaints aside, BLOOM has very accurate and visually stunning design. BLOOM WordPress theme is This theme is ultra responsive. It adapts automatically to different screen sizes and besides every content & layout element has been optimized to look great on every device. The theme has been designed to help you translate it to your preferred language, and it comes pre-packaged with .po files for easy translation. Customize the look and feel of your homepage by customizing the color scheme of WordPress theme. BLOOM is based on the effective Bootstrap framework which is known for being reliable and well made making it friendly for developers. Choose from 650+ Google fonts that best fits your web design needs. BLOOM WordPress fashion theme is friendly with latest SEO techniques and can help you to handle any website niche type. You can customize the theme from the admin panel with the default WordPress theme customizer. If you're either a professional fashion industry representative or an amateur, this serious blog theme could be all that you need. Enjoy writing, enjoy blogging! If you are looking for something truly unique then pay attention to Didi Wordpress Theme. Black and white colors, lines, boxes and yellow accents, bold, sharp and beautiful typography combined with clean layout draws and keeps readers attention to the most important, your fashion blog content. 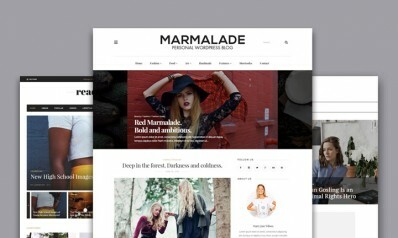 The Marmalade is clean and elegant WordPress fashion themes for lifestyle or fashion blog. I like how Marmalade authors designed grid layout. One grid item is a classic look, but another in the same module is with the image background. Marmalade theme is packed with Master Slider Pro Plugin (19$ worth), and Wordpress live customizer, that let you build your blog more unique. The Marmelade is excellent choice for modern fashion blogger. Bright, gorgeous and versatile WordPress fashion theme to show your content in a streamlined and straightforward way. Magazine Tana WordPress theme is designed with a clean, fresh and elegant homepage structure and fully responsive layout. Thankfully, this theme has integrated the impressive (and free) WooCommerce plugin, which helps you sell your products with ease. Theme is fully compatible with WPML and comes with .po & .mo files. Just translate the included language file. Additionally this WordPress fashion theme has drag and drop builder to create a versatile homepage for your requirements. Magazine Tana is compatible with user-friendly contact form 7 plugin whereby you can easy send e-mails. If you want to change the default website colors, you can very quickly change those using the color picker in the WordPress theme options. Encourage your readers by using Magazine Tana’s mega menu. Let your visitors explore your homepage content efficiently. Magazine Tana blog theme is search engine optimized and ready to handle any street fashion blog or fashion boutique. The theme advanced admin panel is packed with additional features and settings for many design elements such as the appearance of great menus, beautiful colors and clean typography and so on. 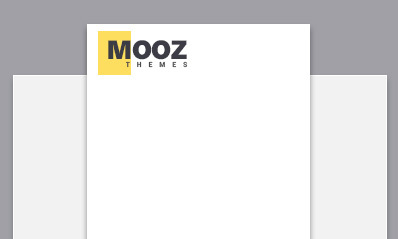 It is MOOZ Themes interpretation of how an excellent, beautiful and outstanding fashion blog should look. 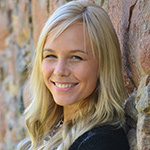 Enjoy blogging Enjoy Tana! Glossy premium WordPress fashion theme has a beautiful design and is a perfect for fashion, fashionista and lifestyle blog. Apart from that you can enjoy 9 useful homepage layouts and trust me it’s hard to decide which to choose. With this WordPress theme, your web page will be completely responsive. There are hundreds of Google fonts to choose from to outfit your homepage. The Glossy fashion WordPress theme is compatible with WPML, and you can translate every fashion website text into a different language. It allows you to speak to a larger audience. The theme comes with visually stunning design and clean layout which will help your lifestyle web page to stand out. This theme is full of widgets, and interactive buttons, like every fashion site, should be. Raspberry is another premium blog WordPress fashion theme with an elegant and responsive design. One of Raspberry’s most important traits is that theme has a large number of modern features. Raspberry theme is With a clean and valid homepage structure and responsive layout, the viewing and reading experience is perfect for all types of devices. With the innovative WooCommerce integration you can build an elegant fashion boutique and sell your remarkable works to the world. The theme has been made from the scratch with excellent translation in mind to make your website multilanguage. It comes pre-packaged with a .po file containing all of the theme’s text strings, ready for translation. the Main color is set in theme options with convenient color picker so you have an unlimited choice when it comes to colors. Only set the color you want and save the settings. This theme includes a user-friendly, highly customizable, responsive Mega Menu that improves the navigation of your site and helps website visitors explore your website with ease. With modern Bootstrap, you get modern and extensive documentation for common HTML elements, dozens of custom HTML and CSS components, and awesome jQuery plugin. This fashion theme supports one click demo install functionality, only one click and your homepage will look like the demo. Raspberry has been carefully polished designed with absolute attention to detail. Within you will find 4 visually beautiful crafted premade skins to get you up and running quickly, within minutes, just click on "install" button and you get a fresh design for your fashion blog. What’s more, Raspberry comes with 600+ beautiful Google fonts, and it is SEO and speed optimized, which helps you to rank in search engines higher. Its control panel is convenient and allows you to edit your fashion blog color scheme, change the background, build your custom skins and much more. The ideal choice for fashion blog who want a bright & modern design site. Seriously, stylish and creative WordPress fashion theme and is a solid choice for any blog, a specialty for fashion, beauty, and lifestyle. The theme comes with visually stunning design and clean layout which will help your fashion blog homepage to stand out. One of the key features of Felicity is built-in WooCommerce compatibility. After installing Felicity, just click activate the trendy, impressive WooCommerce plugin. You can even write to an international audience, given the inclusion of the WPML plugin. This theme is available on Mojo marketplace. Felicity creative design focuses on your content and is ideal for a beautiful lifestyle or fashion blog. Next Blog is a gorgeous, beautiful black and white WordPress fashion blog theme to show your stuff in an easy way. Next Blog theme is completely responsive, include customization features to alter the look of your blog. The primary color is set in theme options with the convenient color picker, so you have an unlimited choice when it comes to colors. Only set the color you want and save the settings. Thanks to the one-click demo importer feature, you can build a fully-functional website in a few minutes. Overall, Next Blog is a polished fashion blog theme with clear typography and simple design. Tempest is a WordPress Magazine Theme, crafted with care and attention to detail. It includes a clean and elegant design, coupled with retina graphics. Tempest is simple to manage and use, includes powerful features that let you build your fashion, lifestyle blog or magazine website in minutes! 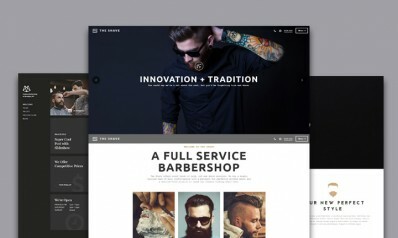 Tempest theme is packed with four custom post styles: videos, galleries, portfolio, slideshow. Chose Tempest WordPress theme and you get elegant, clean and modern magazine website. Tonka built to function as both a fashion and lifestyle blog theme. Available on Mojo marketplace Tonka creative design focuses on your content and is ideal for an gorgeous fashion site. Brooke is light, clean and classic design WordPress fashion theme. In Brooke, I see a white space, and a white space means more freedom for your content and photos. Featuring the astonishing full-width slider, a smooth and intuitive AJAX navigation, a variety of post & layout options and sticky sidebar hotspot with custom widgets, Brook ensures a flexible personalization while displaying your blog strikingly and clearly. Allure is very fresh, clean and elegant design WordPress theme for fashion blogs. This theme has powerful options for a front page. It's not easy to show all possibilities of Allure WordPress theme, so click on demo to see more website styles. Metz is a flexible, stylish and clean WordPress theme that can be used for a fashion magazine to show their content. Every element and module in premium theme design help you to increase the number of page views that you will receive. Metz is a prevalent premium theme with more than 300 sales. Metz WordPress theme is completely responsive and built on HTML5, CSS3, Bootstrap and jQuery web development technologies. With Metz premium theme, you will control every element of your site. Metz is packed with detailed documentation ensures that your site will be up and running soon after purchasing the theme. Metz modern design focuses on your content and is ideal for a minimalistic fashion site. Mag is a stylish fashion magazine theme built with creativity and minimalist approach. Your website visitors will be able to contact you, as Mag has incorporated the popular Contact Form 7 plugin. Mag magazine WordPress theme is search engine and speed optimized, eager to serve your website and with documentation file, you can build your blog fast and simply. Mag light design focuses on your content and is ideally suited for a versatile fashion site. Hotmagazine is a seriously responsive magazine WordPress theme with clear typography, abundant white space and lots of features. Hotmagazine WordPress theme is suitable for a News Website or in categories like Fashion, Sport, Design, Games, Tech, Technology, Travel and more. Theme is compatible with WPML plugin that helps you to translate your website into multiple languages. The theme was built with customization in mind and offers the ability to configure your website without ever touching code. Its main framework is developed based on Twitter Bootstrap technology for quick and easy website development. The theme support one-click installation, so you just need to purchase the theme, and it will do the rest from A to Z to make your site up. With Hotmagazine you can easily create your fashion without any coding skills. It comes in 6 different demos and homepage concepts. 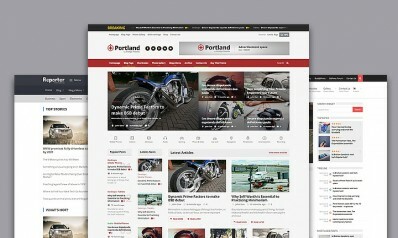 Hotmagazine magazine WordPress theme is with optimized code for both speed and search engines. It is our interpretation of how an elegant fashion magazine should look like. Kolumn is a creative, modern, stylish WordPress theme and is a solid choice for fashion, lifestyle blog to show their content. The theme comes with perfect design and unique layout which will help your website to stand out. Kolumn theme is with an original and valid site structure and quite responsive design, the viewing and reading experience is perfect for all types of devices. You can even write to an international audience, given the inclusion of the WPML plugin. The Visual Composer offers powerful customization options, as an even beginner can design a unique website. All uploaded images are automatically resized - no plugin necessary. 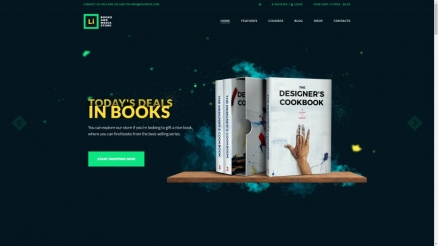 You can personalize your theme by choosing among the 3 unique homepage layouts and choose the perfect design that represents your brand and identity. What’s more, Kolumn comes with 600+ Google fonts. The perfect choice for fashion who want a creative and modern site. Applique is a versatile fashion blog theme built with creativity and a minimalist approach. With it’s polished look full of trendy design styles and features you can rock on the internet. Applique WordPress theme is Fashion blog theme that designed with style publishers in mind! The Visual Composer offers powerful customization options, as even beginner can develop a unique website. Smartblog is simple, clean, extensive and deeply functional WordPress theme for fashion blogs. Smartblog is made by famous SmartMag magazine theme authors ThemeSphere and after few weeks only collected hundreds of sales. It is good and also bad. Good because sales mean that theme is interesting and attractive for customers, bad that you can find the same design to your friend blog. Anyway, if you looking for clean and simple design for your fashion blog, then take a look at Smartblog fashion WordPress theme. Roseland is a perfect choice for almost any type of lifestyle and fashion - related website. Roseland WordPress blog theme is fully responsive, capable of displaying content on tablets, smartphones and desktop computers. This WordPress theme gives you effective customization options to change the look and feel of your lifestyle website. With Roseland, you can easily create your lifestyle blog without any coding skills. There are more than 600+ Google fonts available which help to polish your homepage based on your needs and vision. The perfect choice for fashion blog who want a streamlined and beautiful site. unPress Magazine is an exceedingly appealing, incredibly simple, thoroughly clean designed and correct or true in every detail. You can combine eight different fashion blog layouts, masonry, blocks with or without text and mosaic. Chose pure white skin, hide sidebar and you get more fashionable, wide and stylish fashion blog. With the minimalistic, elegant and delightful design WordPress theme Milja gives you a gorgeous base to present your favorite images. Including a genuinely functional Layout builder and based on the UIkit Frontend Framework it is a piece of cake to create content based on the latest web technologies to provide your visitors a stunning user experience. Milja also has light and dark version. If you want to make a lasting impression for your visitors, then choose Milja. Pandella is one of my favorite. It has attractive and eye catching slider, large photos for articles, fashy font for titles, clean and extensive design. Pandella is Fueled with a powerful and lightweight framework coupled with the powerful Touch Layout Builder, an in-house built drag and drop builder. If you look under the hood then you find that Pandella is based on Bootstrap frontend framework which is known for being reliable and well made making it friendly for developers. If you want to make an impression for your visitors, then choose Pandella. Attention to details, carefully crafted elements for increasing your content views and visitor engagement this is SugarBlog. its design is clean, modern, professional, amazingly vast and delightful. Wordpress fashion theme SugarBlog is loaded with great features: unlimited styles support, header style, 3 built-in header layouts, widget manager, 9 custom page templates, built in categorized image gallery with 2, 3, 4, 5 columns and integrated lightbox, 10 custom widgets, features 9 post formats, and more. There is no doubt, SugarBlog is one of my favorite themes for Fashion blogs. Piemont is clean and classic WordPress theme. The main feature is customization, and you can choose from many blog style, type, and blog sliders. The design is clean, appealing and nuanced. If you want to build not fashion blog, but fashion magazine, then take a look at Piemont Theme.